From the Spring issue, Permaculture magazine 91, Charlie Gray explains how 'Plenty Preserves' turn surplus fruit and vegetables from the local markets and growers, into homemade chutneys, pickles, jams and preserves. According to the ‘Love Food, Hate Waste’ campaign, around 50% of food thrown away in the UK comes from our homes; that’s seven million tonnes of food, more than half of which could have been eaten. Pretty shocking! WRAP (Waste and Resources Action Programme) figures show a similar statistic across the food industries: in 2013, three studies showed that the estimated annual food waste from UK households, hospitality and food service, food manu­facture, retail and wholesale was around 12 million tonnes, 75% of which could have been avoided. It is estimated this waste has a value of over £19 billion a year and an associated 20 million tonnes of greenhouse gas emissions. So, we decided to do something about it. Plenty Preserves is a partnership project between two Bradford based projects (Grow Bradford and Re-considered) aided with initial funding from the Waste and Resources Action programme (WRAP). We secured an agreement with Bradford council’s wholesale market to take the ‘surplus’ that food traders can no longer sell on, diverting it from landfill or incineration in order to create an innovative and experimental range of products. We went through the design web from Looby Macnamara’s, People and Permaculture,1 to look at the vision for the project and created our next steps. In the last year, Plenty has transformed eight tonnes of waste into tangible products, and has provided learning services and experiences. We have participated in three regular local food markets as well as a range of other events (including the International Permaculture Conference in September 2015). With the funding we invested in equipment and time for ourselves to make varied produce, plus a small amount of rent that goes to the Storehouse PAYF (Pay As You Feel) cafe whose kitchen we cook in every Friday. We have made the usual jams, chutneys, conserves, preserves and cordials, as well as slightly more unusual products like fruit leather, other dehydrated products and ice pops. We have made pickles and have begun to venture into the realms of fermentation, producing sauerkrauts and kimchi, water keffirs and kvass. As long as we can get hold of the ingredients and a recipe to match, we are in the making! Whilst the majority of ingredients we have been experimenting with have been from the wholesale market, we are growers and so we have included our own locally grown and foraged produce, resulting in a spring wild food day, and a ‘surplus food’ buffet which included raspberry and nettle seed powders to roll chocolate truffles in for extra flavour and oomph! We get surplus from a grocery supplier and the storehouse which offers PAYF food for community groups. We also teamed up with Bradford Fruitshare this year to look at what to do with all the surplus apples and other fruit, and how to scale up this yearly harvest of local ‘unwanted’ fruit. We visit the wholesale market on a weekly basis, speak to traders and take any surplus we can use. We’ve got used to the extraordinary patterns of surplus (with global reach); think apricots and peaches in autumn from Mediterranean climes, and apples and pears from South Africa in our winter. We have developed knowledge of what people will buy at which markets and for which events and how much is a fair price for our products locally. The initial funding allowed us to develop a range of products, for local markets, and more recently we have received Big Lottery Awards for All funding which is allowing us to develop a range of workshops and activities with price options to suit all budgets. Last autumn, we invited people to join us making elderberry syrup, apple picking and apple pressing as part of Bradford Fruitshare, as well as chutney-making. We also offered a couple of lacto-fermentation workshops, the latest of which involved making sauerkraut, kimchi and fermented chilli sauce, along with a tasting session which included water keffirs and kvass of different flavours. We have had lots of fun on stalls, during cooking sessions and workshops, spending time with different groups sharing recipes and ideas and making products. Our best-selling recipes are the Asian style ‘Achar’ pickle (see PM91 for the recipe) and the bread and butter pickle, which pay homage to the South Asian and Eastern European heritage of Bradford. We love the vibrancy of the ingredients: the colours, aromas and tastes and the incredible diversity of recipes that are available in our community and on the internet. Being involved in this project has helped us to further appreciate the scale of the problem and some of the solutions available. The Christmas season is our busiest time of year and so we created a range of products and services that make great gifts like our subscription boxes, which can be ordered as a one-off gift, on a monthly basis or to suit, and our workshop series, during which we aim to cover all aspects of preserving over a year. 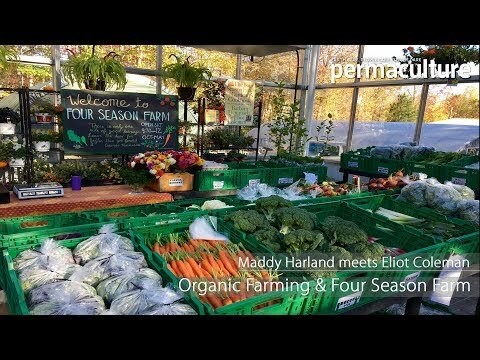 Charlie Gray is a permaculturist and community food grower at Horton Community Farm Co-operative Ltd. Throughout her permaculture journey, Charlie has helped to document, connect and promote food growing in Bradford with Grow Bradford, and has been involved with the social enterprise Plenty Preserves along with project initiator, Emma Hill from Re-considered. Charlie is passionate about the local food system and how we can make change through co-operative initiatives at the local scale, using permaculture design. All the named projects have permaculture designs for them and will form part of her diploma, which she is currently working on. in Permaculture Magazine issue 91.